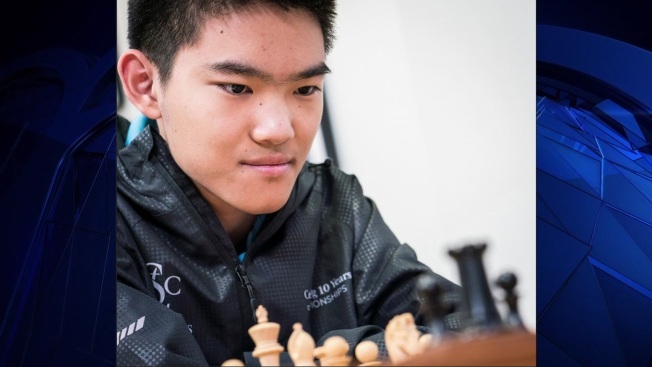 A Coppell teenager is one of only a dozen grandmasters invited to play at the 2019 U.S. Chess Championship. Jeffery Xiong, 18, accepted a bid to compete in the 12-player, 11-round Round-Robin tournament held at the U.S. Chess Capital of St. Louis with a grand prize of $50,000 and qualification into the World Championship cycle. According to the World Chess Federation, Xiong, with a std ranking of 2663, is ranked 7th in the US and 83rd worldwide. U.S. Chess said he is the highest rated Junior player in the United States and the third highest rated Junior player in the world. Xiong began playing chess at the age of 7, became a master at age 10, an international master at 13 and a grandmaster at 15. His round one match has him facing-off against 31-year-old Timor Gareev, a master of blindfold chess who attended The University of Texas at Brownsville. Jeffrey Xiong, left, meets challenger Fabiano Caruana. "The U.S. and U.S. Women's Championships represent the best of American chess during the two-week event," added Carol Meyer, US Chess Executive Director. "The Championships will showcase the deep chess talent pool within the United States and will provide for daily battles that will be history-making." During the matches, players receive 90 minutes for their first 40 moves followed by 30 minutes for the rest of the game, with a 30-second increment from move one. Draw offers are not allowed before move 30. The entire prize pool is $194,000 with payouts ranging from $50,000 to $4,000. Any player that finishes with a perfect 11-0 score will also qualify for a $64,000 Fischer Bonus Prize. If two or more players tie for first, a playoff will be held to determine the champion. The matches will take place March 20 through April 1 at the Saint Louis Chess Club in St. Louis, Missouri.